Note to self – the kids have all grown up. 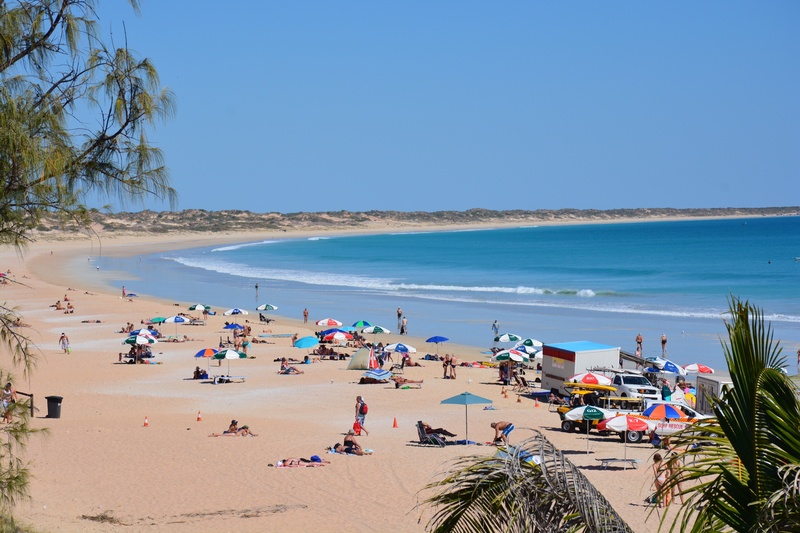 Either we get with the programme or the next family vacation will take the form of pre-booked – no decisions to be made during the trip, only before. When the kids were small it was easy – this is where we are going, this is where we will be staying and this is what we will be doing. Well now that they are a bit older, it goes like this – nah let’s look for another camp site, nah let’s do this instead, nah we don’t want to eat that. Parenting has just taken on a whole new meaning – it’s the stage of relinquishing of authority that has blindsided us. And either you take it in your stride or die. So we adopt the stance that we’re on holiday – if they want to make the decisions, no worries. If they want to drive around all day looking for the perfect spot, no worries – just so long as I get to see the sunset at Gantheaume Point. 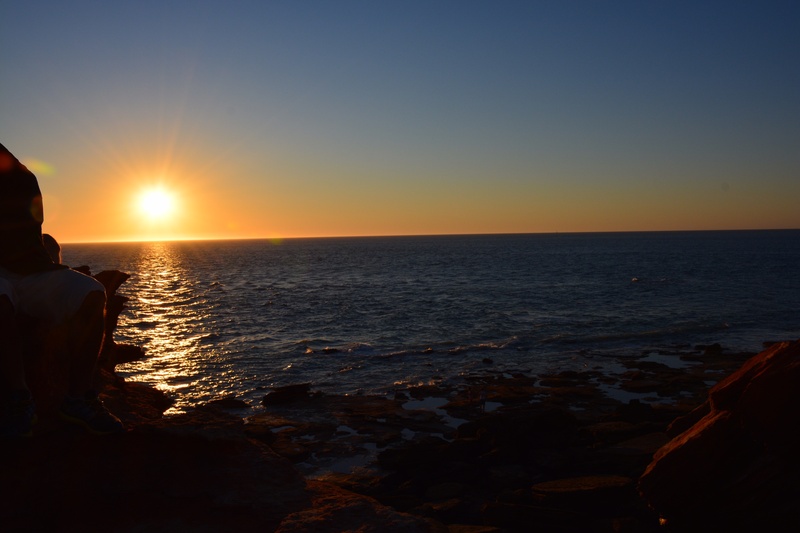 And we did just that – the perfect camp site was chosen and we spent the afternoon soaking in a great sunset at Gantheaume Point. A great start to the two-week trek through the Kimberley. I’d forgotten what this was all about – first you have the side which everyone is skeptical about – the sleeping on the ground, the lack of immediate access to facilities, the lack of privacy, the pitching of tents (which by the way has become a two minute exercise), cooking on burners, having to cook at all – generally speaking, the lack of absolute comfort. Then there’s the other side – the flexibility of moving around, the meeting of other like-minded travelers and the stories shared, the immediate camaraderie that is developed, the broadening of minds, the eagerness to help each other – the lady in her pink bathrobe greeting you at the facilities at 5 in the morning – the Dutch couple voluntarily giving you tips on setting up camp. 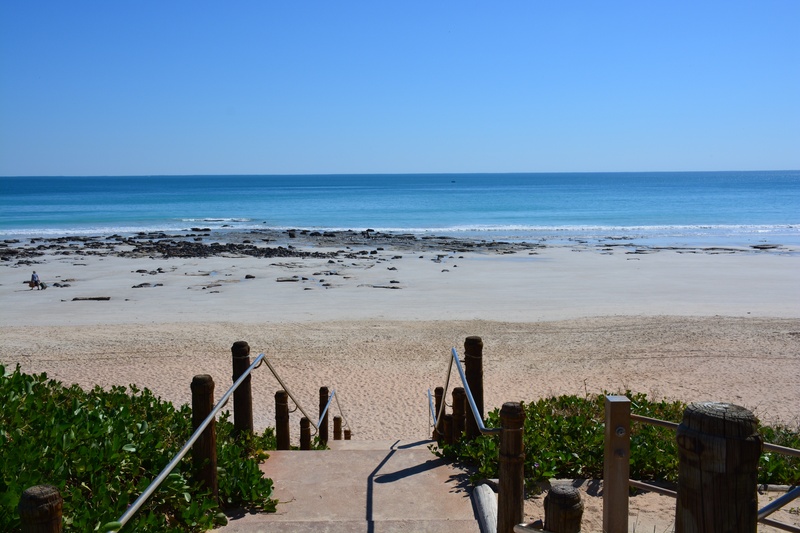 Cable beach in Broome is amazing – possibly the most beautiful beach I’ve ever seen – except that I have a Bahamian in the group who is not as impressed as we are – I can’t see my toes, she exclaims, and she’s right – Oh and it’s cold. But how can you come this far and not swim in the Indian Ocean. The water is not as clear as it could be, and yes it’s a tad bit numbing, but oh the beach is wide, the water is blue, the sky is blue and it’s perfect holiday mode for the rest of your life. We are in heaven and loving it. I agree Denise, we have led for so long but it is wonderful for them to tell us their preferences. When Alex is with us we do, eat, play what he wants….I like someone to help with the planning! By the way Alex love the beard!! !